Just a week after being jailed, Paul Golding and Jayda Fransen, hate-mongers in chief at Britain First have been kicked off Facebook for good. The Biffers - or somebody - shortly afterwards recreated another Page .. and that lasted an hour before being taken down, too. We are advised Facebook are on watch for further such bypass attempts. This isn't just a small set-back for Britain First - it's a critical step. They have no 'street following', with a dozen regulars at their all too infrequest demonstrations, representing the actual real followers they have, as opposed to the '2 Million' they claim. They have no infrastructure. 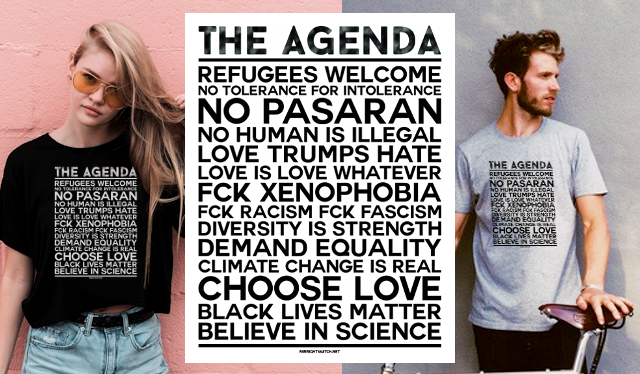 All they have - all they ever had - is Facebook. They depended on it as a channel for their fakery but more importantly, for the donation requests that kept them going. The only good news - and it may not be that good - for the Biffers is that their next trial, scheduled for Belfast in April, has been set aside for the meantime. Unsure what the significance of this is. We understand that it may simply be deferred until they are released from their current jail sentences, but it is possibl;e that the CPS may decide that a further prosecution is not in the national interets. If so there will be severe push-back. 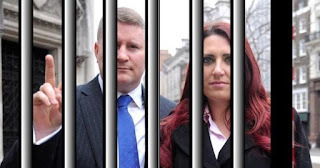 Britain First leaders were jailed last week for 18 weeks and 36 weeks. And they have more charges to face. Of course, the usual Far Right characters started whingeing about 'Free Speech'. Our standard reply is of course that Biffers can write, blog, make videos, or stand on a street corner and shout, as far as we care. That is, actually, Free Speech. Facebook, like Twitter, is a Private Corporation that sets it's own rules - which users sign up to - and removes anyone who breaks them repeatedly. But importantly, the loss of the channel they rely on for funding requests is, we think and hope, the end - or at the very least, the beginning of the end - of Britain First.